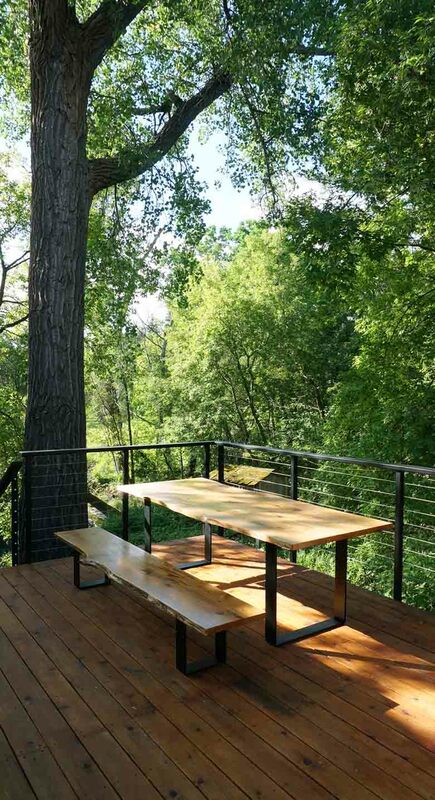 We’re loving this outdoor oasis that our customer has created! 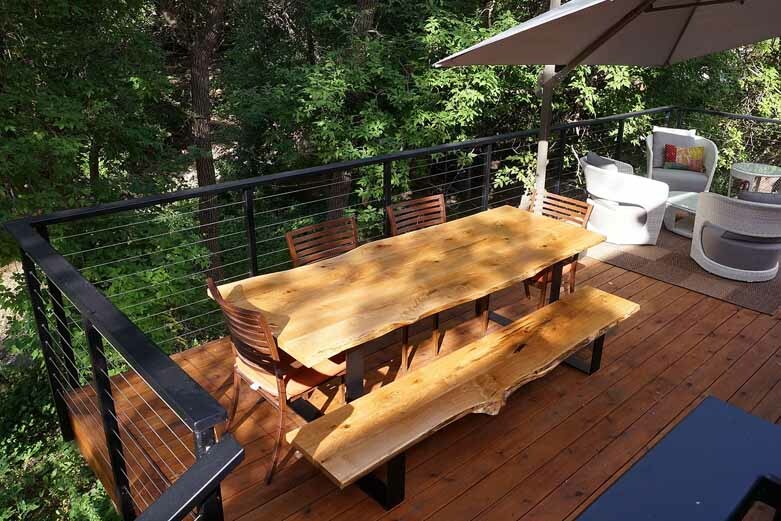 Its the perfect setting for the live edge Oak table and matching bench they had us design and build. 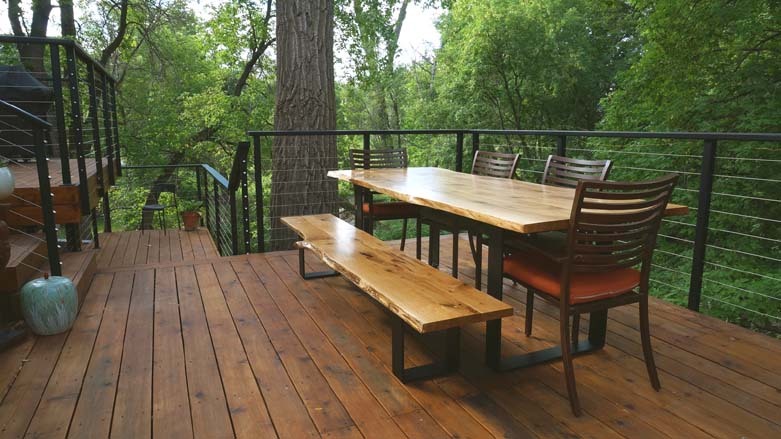 The warm tones of the White Bur Oak stands out in contrast with the beautiful Cedar deck with the black steel legs resembling the deck railing. We built the tabletop and benchtop to be able to allow these pieces to be out year-round. 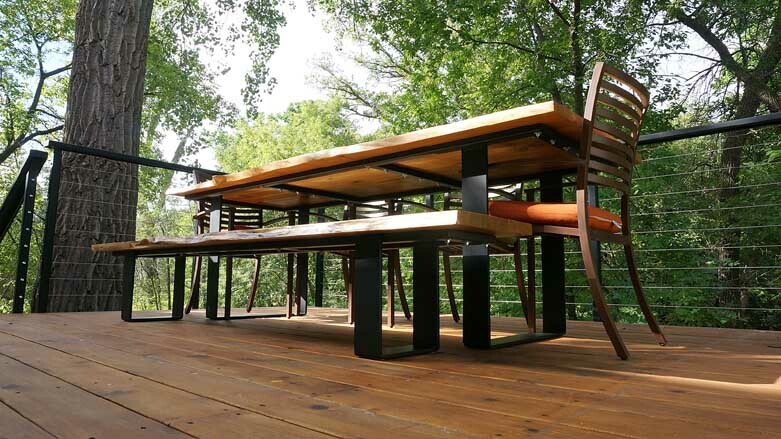 Both wood tops had oversize holes for bolting them to their steel under structures. The holes were also wood doweled for a smooth and clean look. 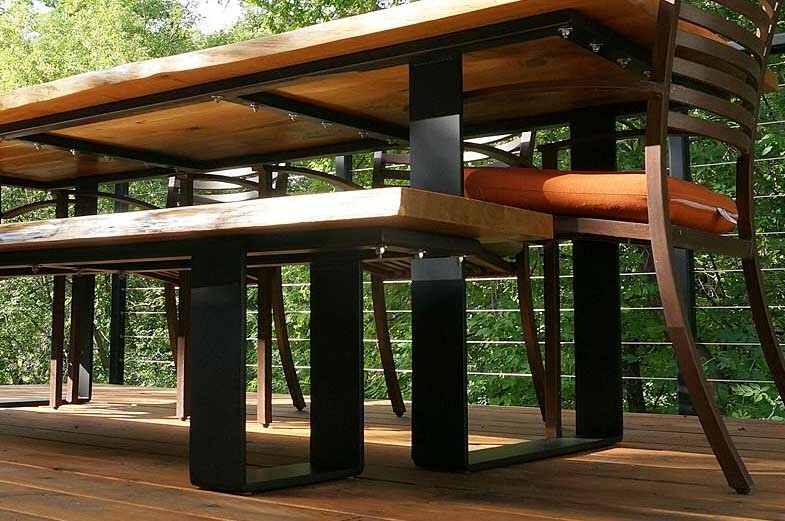 The 4″ wide x 1/2″ thick flat bar steel legs and under structure were primered and powder coated as well for 4 seasoned use. 96″ long x 36″ wide x 1 1/2″ thick reclaimed Oak double live edge table, natural colour finished with Teak Oil, with steel U-shape leg. 96″ long x 16″ wide x 1 1/2″ thick reclaimed Oak single live edge table, natural colour finished with Teak Oil, with steel U-shape leg.